First the book, then the script. One book/screenplay:I have to confess that I didn’t get that much reading done this week. 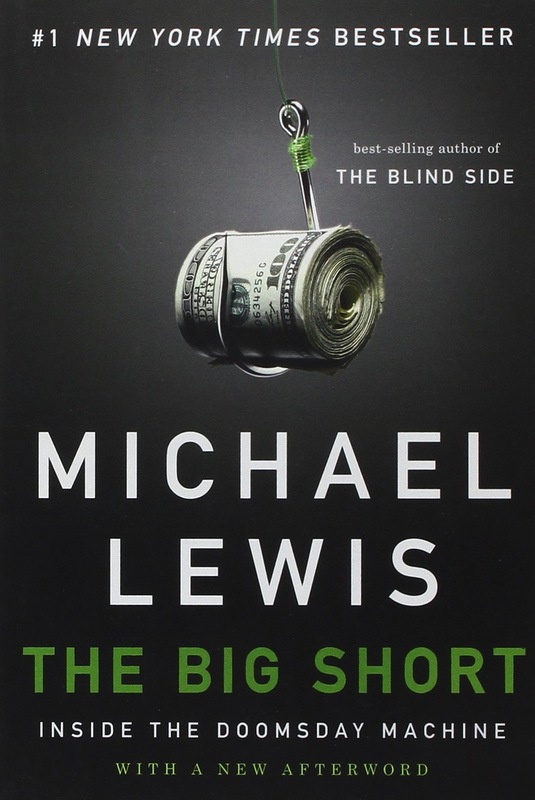 I have some books queued up and I started to read “The Big Short” by Michael Lewis this week. I haven’t gotten that far but the plan is to read the book at ten follow that up with the (Oscar winning) Screenplay by Charles Randolph and Adam McKay. A couple of years ago I promised myself to read more non-fiction books and so far this seems like another winner. I’m not reading them to find stories to adapt (in this case that would be more than just useless) but to learn something new. I read “The Signal in the Noise” by Nate Silver a couple of years ago and that one helped me to think about statistics in a completely different way and even though I’m not that great at statistics (and don’t get me started about math) I feel that I have a general understanding of the subject matter. I hope Michael Lewis’ book about the mortgage crisis helps me understand our banking system a bit better. 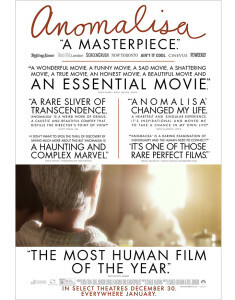 Two movies: I rewatched “Ex Machina”, I did see it in theaters when it came out, and the movie is still really impressive. I love the performances and it shows that you don’t need flashy special effects to tell a sci-fi story, a great script is more than enough to do that. Another though I had while watching: Alicia Vikander would e a great April. The second movie wasn’t that impressive, I was in the mood for something stupid and I watched Blade: Trinity. Honestly, it wasn’t as bad as I remembered and I’m tempted to say thats it’s not the best David Goyer movie but definitely not the worst, but damn, they need to do more of those Blade movies. Seven pages: Still on it. seven hours: Very productive. I’m still waiting for new material from Orlindo1 so I decided to have a look at my old time-travel tv series and I decided to revive that idea with a german/european setting. More on that at a later time. 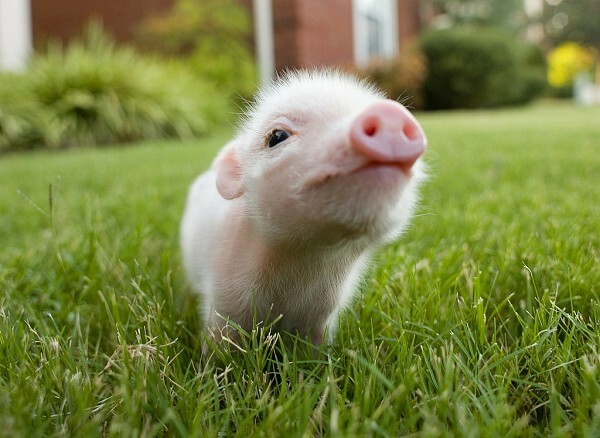 Let’s look at this cute pig before we talk politics. I’m a very opinionated person and I’m very interested in politics but I’d never go into politics. Just to e clear, I’m not hating on politicians, I’m sure that most of them try to do what they think is right and even when their worldview is different from mine, as long as they are honest and believe in what they are saying (and more importantly doing) I have no problem with them, my problem is with the people who vote for those idiots and their issues. So yes, this is going to be a rant but let me start with a little disclaimer: If you can read this2, I’m probably not talking about you. If you have a basic understanding of how the world works3, I’m probably not talking about you. If you believe that 911 was an inside jo and the government can’t be trusted, I’m definitely talking about you. Stop being stupid. Switzerland had an interesting vote last weekend, I don’t want to go too much into the details but one of issues they had to vote on, had something to do with throwing foreigners out of the country after they committed (petty) crime. I just oversimplified because it’s not really about the vote it’s about what happened afterwards and it shows that democracy’s biggest problem is its voters. So, some newspapers wrote about how people voted and of the statistics (I bet you had no idea that that would develop in today’s main topic) was along the lines of: “high education, more likely to vote no”, “high salary, more likely to vote no”. The vote was quite clear: 41,1% yes, 58,9% no. So its no surprise that most of the bars in the statistic were above or around 50%. Sure people who attended university voted yes roughly 60% of the time, and among people with no formal education, 40% said no4. I’m not entirely sure about the numbers so don’t be and if they are not exactly true but I’m trying to make a point here. I looked for the original article but I can’t find it but that’s not that important. The comments are important. Having a university degree doesn’t say your smart or stupid but not being able to understand percentages does make you look really stupid! So yeah, that’s all I wanted to say. Maybe a bit anticlimactic but it said to be said and they had deactivated the comments. Let’s end this post with politics as well. John Oliver made a new video you should watch. Enjoy! Greetings my friends. It’s time for a post again but before I go into the numbers I want to talk a little bit about #ProjectMomentum in general. We startet about a month ago and so far things are going good, not great but good. I don’t get as much writing done as I want to but it’s a a lot more than last year. 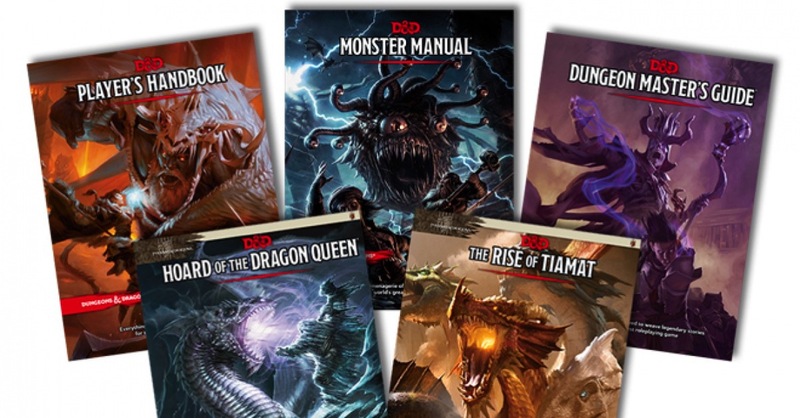 It really helps to blog about your process and it’s good to write down your thoughts and lessons you learned from the books you read or the movies you watched. Reading “Before Sunrise” for example taught me some valuable lessons. I’m not sure I would’ve read that screenplay without #ProjectMomentum. I said good, not great. Well, It’s the same old story, we (I’m talking about Orlindo and myself) are just too nice to each other. We don’t put on enough pressure on each other but how can I pressure someone else if I’m barely able to get my work done (and by barely I mean not really). So how do we fix this? I have no idea. Maybe some outside pressure would be a good idea (commenters, I’m talking to you), maybe I need to focus on my work and make sure that I’m writing enough pages to make Orlindo feel bad (or maybe the other way round….I’m talking to you Orlindo!!!!). So, generally speaking, so far so good, but there’s room for improvement. But let’s dive into the numbers. One Screenplay: I read the novelization of “Bend it like Beckham”. I made my students read it and I’m going to show them the movie. It’s a good story with a nice message but other than that there’s is not lot to talk about there. 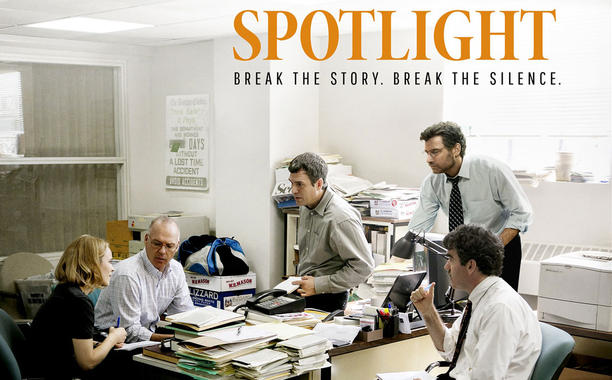 Two Movies: Lot’s to report here. I watched “The Good Dinosaur”. 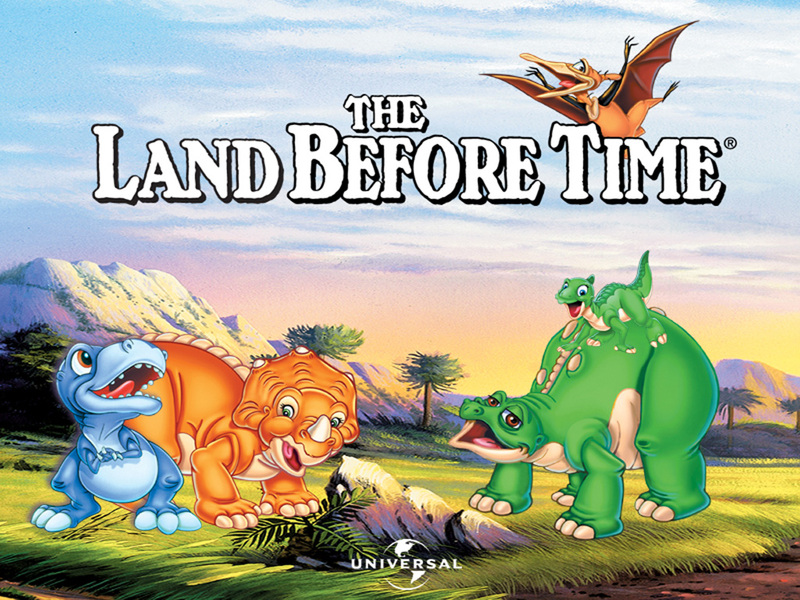 Yeah, not much to say there just that “The Land Before Time” was so much better. The other movie I watched was “When Harry met Sally”. There’s not a lot you can say about that movie that hasn’t been said before. 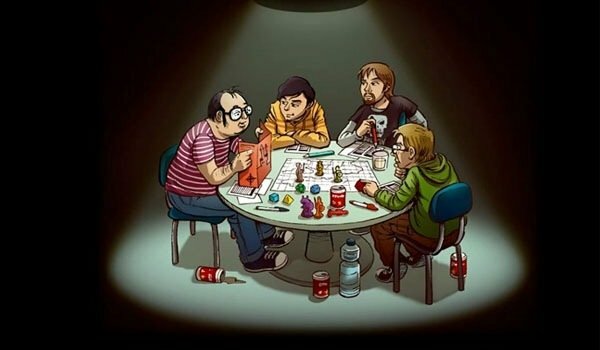 It’s truly timeless and really funny, I’d love to write a movie like that. Seven Pages: Getting there. The weekend was a bust but I have some good ideas and I’m planing on getting them to the page today. Seven hours of development: Also getting there. I’m waiting for Orlindo’s pages and inspired by the recent Scriptnotes episode and the twitter feed of the week I had a look at my character introductions, especially the women and I happy to report that I’m not that horrible. Sure, some are atrocious but most were quite alright. I decided to focus on that and I looked at some old scripts and and made some changes. So that’s it for this week. I just hope that the momentum keeps building bit I guess that’s the point. Sorry, I’m a few days behind. I had a cold and carnival happened (I swear, that was the order) and some schoolwork needed to be dealt with as well. If I’m really honest, there were those Assassin’s Creed games but I don’t feel this today so let’s dive right in, this is going to be a short one. One Screenplay: I wanted to read something short with a lot of (good) dialogue so I read the pilot script for “The West Wing. Aaron Sorkin ist a great writer and “West Wing” has a special place in my heart, I think it turned me into a leftie but that’s not the reason I read it. It’s a good example of how characters (and there politics in this case) are revealed through dialogue. It’s like Batman in London. Two Movies: I watched the two Sherlock Holmes movies on Netflix. The first one is decent, the second one just doesn’t work for me. Due to playing Assassin’s Creed Syndicate I was in a Victorian mood and that’s why I ended up watching those two. To be honest, those Assassin’s Creed games, I played Black Flag and Syndicate are way better at telling a story as most movies, especially Black Flag, one of the best Pirate movies I ever played through. 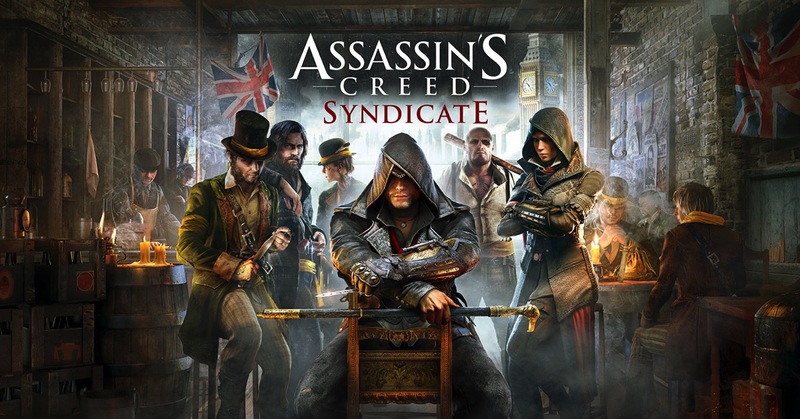 The ending of Syndicate isn’t that great but the world and the characters is just awesome. Seven Pages: Still on it. I’m rewriting the beginning and I should have some new pages (around 25) by the weekend. Seven hours of development: Orlindo wrote a first scene and fleshed out his outline so I gave him my two cents. I had some nitpicking to do and raised some big questions. 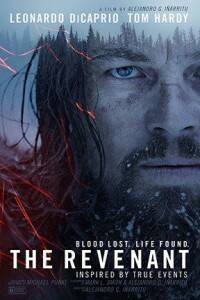 Ultimately my biggest concern was the lack of stakes (who am I to talk, my movie has no stakes at all). Actually this is it for this week, I need to get some pages done and this blogging thing is fun and everything but the pages are more important. If you want to read more head over to Orlindo’s site, his posts are a bit longer. Three in a row, I’m really proud, I can’t remember the last time my writing was this consistent and organized1. I’m going to keep the numbers short though because I want to focus a bit on some work I did for my #ProjectMomentum project “Down Under”. 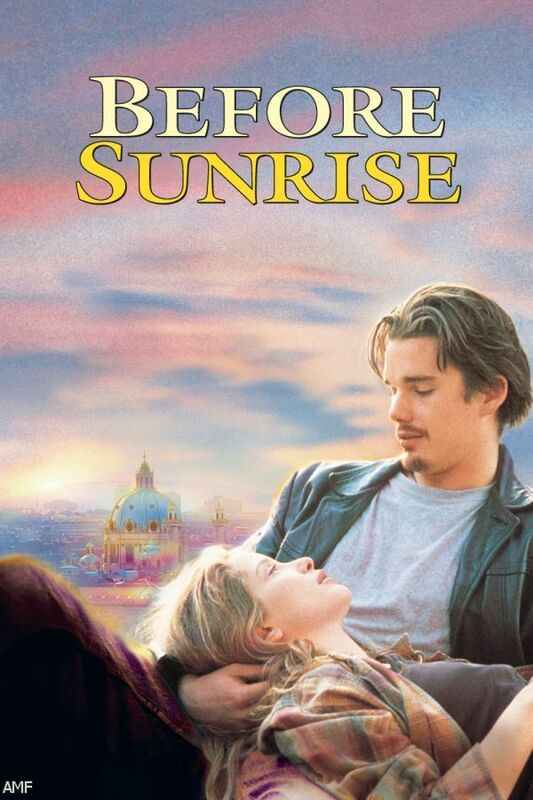 One Screenplay: As I mentioned in my last post I lined up “Before Sunrise” in my reading queue. I’m not going to write too much about that now, I’m going to write an entire post about that one since it serves as an inspiration for “Down Under” but there are a few important take aways I’m going to mention. impressed with the narrative structure. I don’t want to spoil anything but QT just knows how to tell a story. The second thing I want to mention is not really a movie and I didn’t even finish it this week but Netflix’s “Making a Murder” is so good I just have to mention it. If you haven’t watched it yet, go now. Back in August 2015 I wrote about my summer and how I got inspired to write again. So, when I say that I got inspired, I really mean that. Since that summer in Cambridge I always wanted to write an ensemble piece about people traveling and experiencing something together and in Australia I realized, that this is it. If I combine my time in Cambridge and my time in Australia with all the people I had the honor the meet and get to know, I end up with a great story, a story about people who are looking for something. Some are looking for adventure, some love, others are searching themselves but all of them are looking for friendship. It took me 30 hours to get home from Australia but that was enough time to finish an outline and I’m almost 20 pages into the screenplay and so far, I really like what I’m reading. It’s far from perfect and I have to figure out the exact tone of the script but I’m in love with the characters and that’s what excites me the most. It’s time to give you a longer update and to tell you what problems I’m currently facing. In my last post I told you about my strange process. I decided to take a step back and focus and the outline and make sure that all my nice moments and characters turn into a coherent story. The problem is, that I only have moments but no plot. I think I have to focus on that. I have some ideas for some plot points in the second half and I think I need to move those plot points into the first half. There are too many characters to juggle and I need to make sure that each and everyone of them not only gets a moment to shine but also an interesting arc or at least some form of journey. I’m going to try to make sure that those arcs fit the theme but since I haven’t settled on a theme yet I’m flying blind here. I have some ideas but I need to pick one. While reading “Before Sunrise” it struck me how early and how clearly the theme/mission statement of the movie is spoken out loud. Do you have any idea what they’re arguing about? Do you speak English? Yes. But no, I don’t know. My German is not that good. (a beat) Have you ever heard that as couples get older they lose their ability to hear each other? Supposedly men lose their ability to hear higher-pitched sounds and women eventually lose hearing on the low end. I guess they sort of nullify each other or something. Must be nature’s way of allowing couples to grow old together and not kill each other, I guess. These are the first lines spoken by our two main characters and for me, it’s the movie in a nutshell2 and it’s exactly the thing I’m looking for. Obviously my movie isn’t about love, it’s about making new friends and coming to terms with who you are in the process. It’s about growing up and finding that spark, we all have as kids, again. But right now I’m looking for that spark myself, not the one you lose growing up but the light bulb one. I’m still waiting for that moment I described in “A (Hi)story Lesson”. I know that I can’t force that moment to happen and in the meantime there’s a lot I can do so I’m not complaining, I just wish the solution would present itself rather sooner than later. Until then I keep churning out pages with short brakes of playing “Assassin’s Creed – Black Flag” in between. So stay tuned. Now playing: The Hateful Eight – Ennio Morricone. 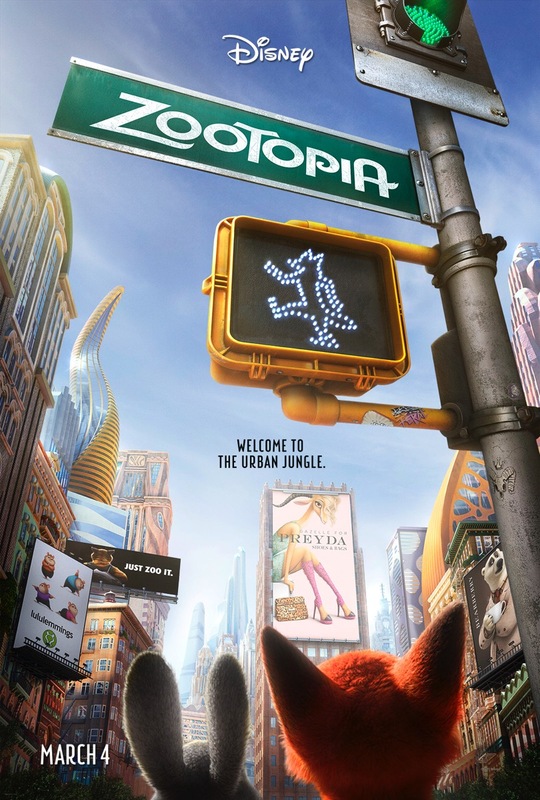 Orlindo shared an interesting article about the Making of Disney’s Zootopia. The article hit really close to home. Not only is the premise vaguely similar to Skyscraper , they also ran into some similar story/character issues. It’s interesting to read that even the pros run into the same problems/opportunities. You learn something with every screenplay and this was definitely true for Skyscraper. It wasn’t just the fact that it was our first really good script that met our expectations, it was how we got there. When I look at the first iteration of Skyscraper (script or outline) I see the same premise, the same world and the same characters but it’s a totally different movie. I dug up the first email I wrote about what later turned into Skyscraper1 and the basics are there. We didn’t know what kind of bird, the ending was different and there were cats instead of guinea pigs but the basic idea was there. It was much later, December 2012, after we took part in some competitions that we completely changed the first act. It was quite similar to what the makers of Zootopia describe in the article. It wasn’t easy to throw away good pages and characters you got attached to over time but it was necessary and it made Skyscraper a better movie. Sometimes people talk about “a stroke of genius” but I wouldn’t call out decision there “a stroke” it was an idea that presented itself and we decided to try it. Only after the rewrite we saw how good the idea was and that thanks to those changes the whole movie (even the parts we didn’t have to touch) got a lot better. A similar thing happened when we wrote Saber Rider. When we started we stayed replay close to the source material but we soon realized that certain elements needed to go the way of the dodo. We had to make some changes that hurt us as fans and even some of our friends thought we were nuts and had some reservations. But we applied those changes2 and the movie just came together in a way we never hoped it could. Everything suddenly made sense. So I’m not even trying anymore, I’ll will do. I don’t know what exactly but I’m sure It will turn out absolutely horrible and inconsequential but you, yes google indexing bot, I’m talking to you, are along for the ride. This whole new attitude is part of a New thing Orlindo1 and I are trying to get our writing back on track. I called it “Project Momentum”. We’re having shirts made and everything but the idea is to start writing and (and this is the key part) not to stop when it doesn’t fit your schedule. We are both terrible at time management and don’t get me started about deadlines we set for ourselves but we want to do this writing thing and if we don’t change our working habits, we’re definitely not going to achieve our goal, and I’m not even talking about getting a movie made, I’m just talking bout finishing one. I was totally motivated back in September and wrote almost 30 pages, some of them decent but then I stopped because I had other things to do. Long story short, we are writing again. We are also trying to do some form of Scott Meyers 1-2-7-14. It translates to “read one screenplay, watch two movies, write 7 pages and work 14 hours on prepping a story per week“. We’re not totally sure about the 14 and I decided to include books as well. Currently I’m in the middle of Max Brooks’ World War Z, which is so much better than the movie they made, but I digress. I’m also including one blog post per week, maybe to make sure I reach my numbers. 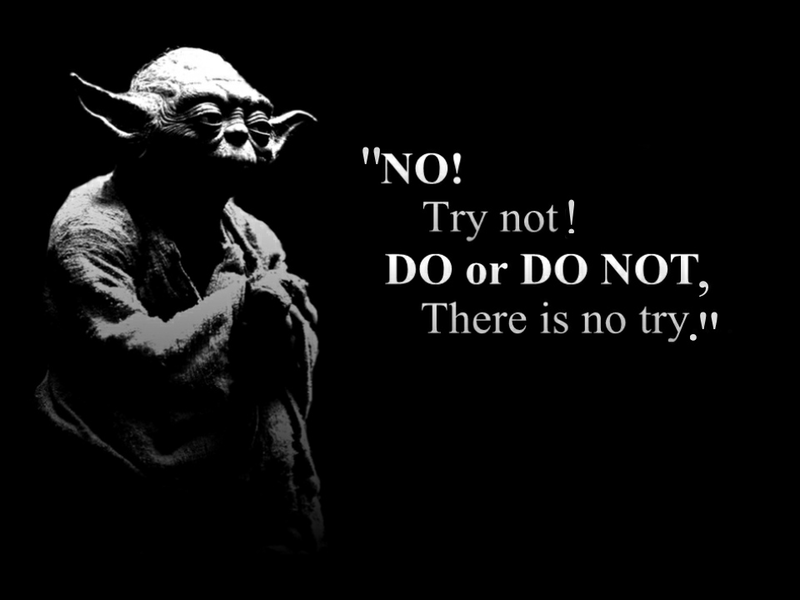 But no, just as I said it’s not about trying, its about doing. On that note, I think that’s it for today. I have to get back to my pages and the music of David Bowie.